Wonder Fools in association with The Brunton Theatre and The Citizens Theatre are performing a play with songs and storytelling 549: Scots Of The Spanish Civil War at Prestonpans Town Hall, East Lothian. The show runs from 7th to 10th February 2018 in Prestonpans, and then at The Citizens Theatre, Glasgow from 13th to 17th February 2018. See more details, including links for booking tickets, at the Wonder Fools website. For the duration of the show, Greentrax will be offering the album ¡No Pasaran! 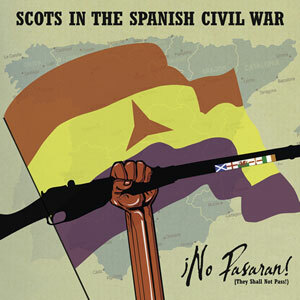 (They Shall Not Pass) - Scots In The Spanish Civil War at a Special Offer price.